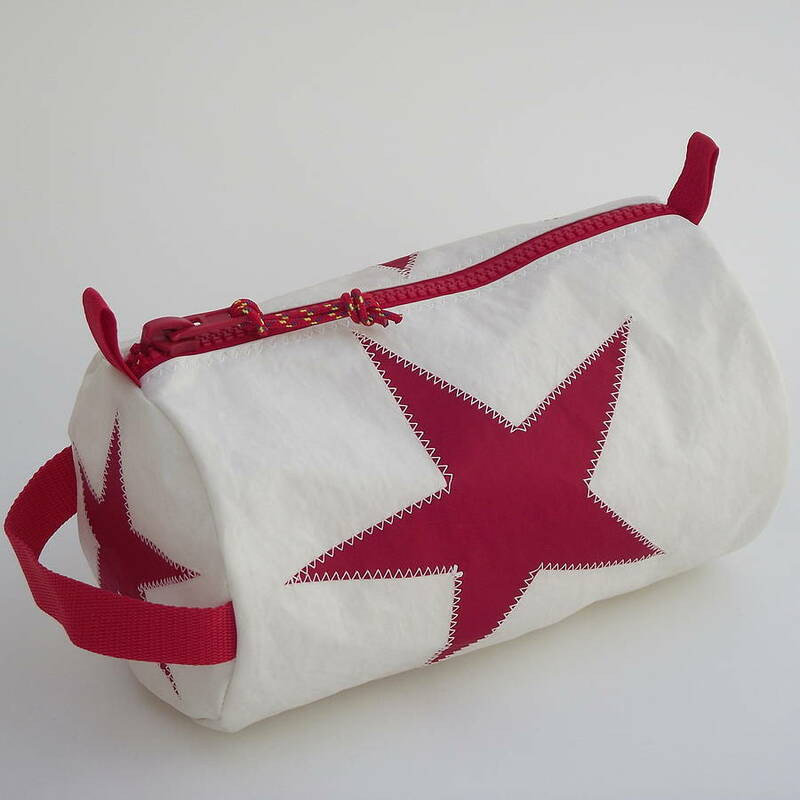 Hand cut stars of different sizes are scattered over our sailcloth washbag and sewn on with traditional zigzag stitch. 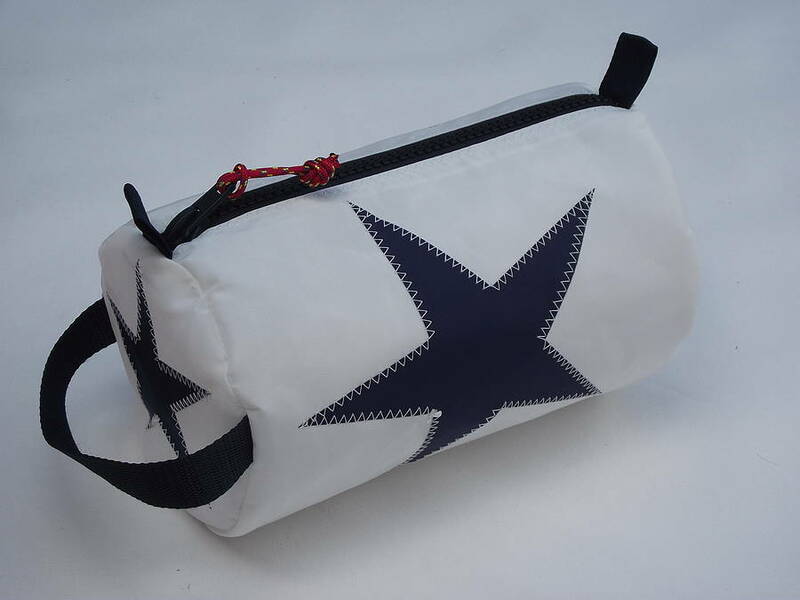 The stars are available in a choice of different colourways. The body is made from recycled sailcloth, or, if unavailable, from new, white, top quality sailcloth. 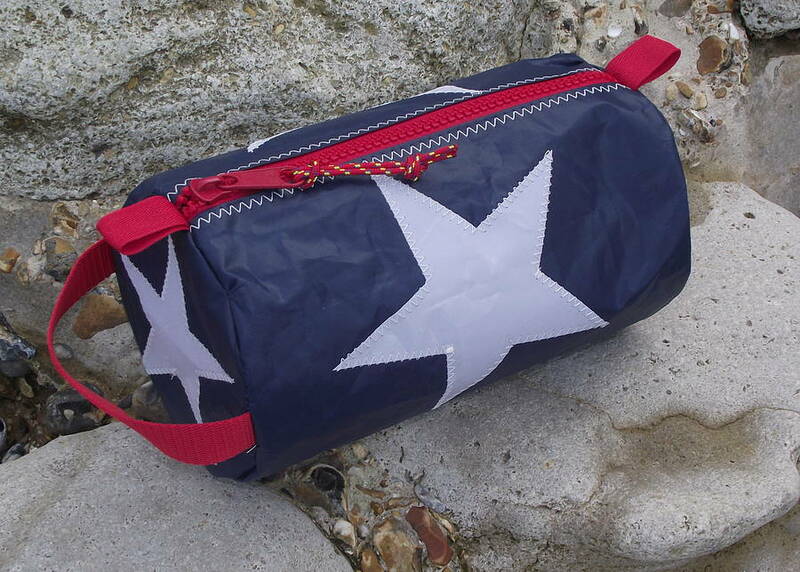 The chunky robust zip and slider comes in a choice of colours. It has a coloured pull cord attached. The webbing handle is useful for both carrying and hanging. 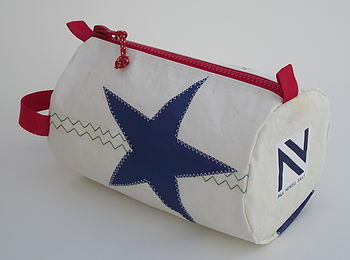 Each washbag is unique, and, with its iconic star image, has become a popular 'must have' with all ages. 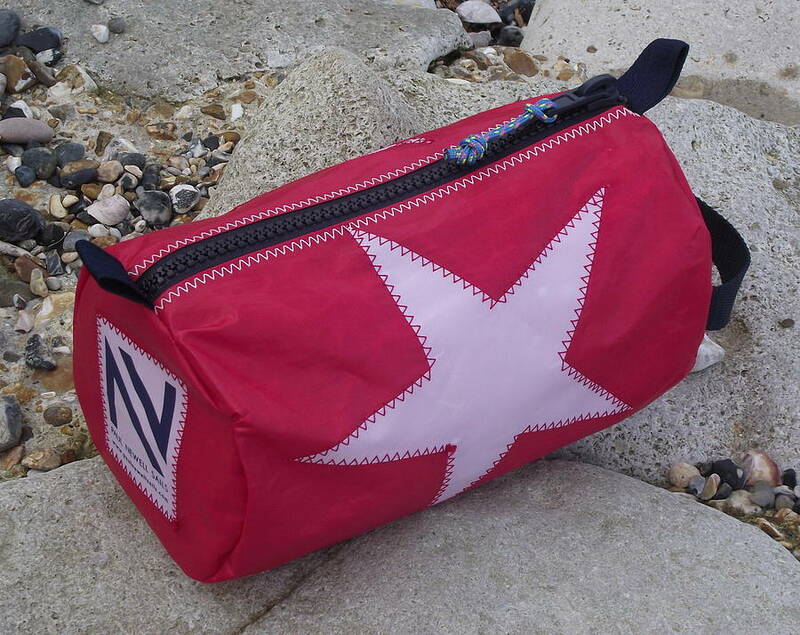 Some kids use them as pencil cases so we know this robust, bright washbag is also multi purpose, making it a perfect present for kids, teenagers and those who are just young at heart! All sewing is done with U.V. resistant sailmakers thread using traditional sailmakers zigzag stitching. Round ends are sewn in with three rows of stitching. Care instructions: Machine washable at 30 degrees centigrade with a small amount of eco-friendly washing powder on a synthetics cycle. Hang to dry naturally out of direct sunlight. Please do not add bleach and do not tumble dry.